NEW FROM BOSE! 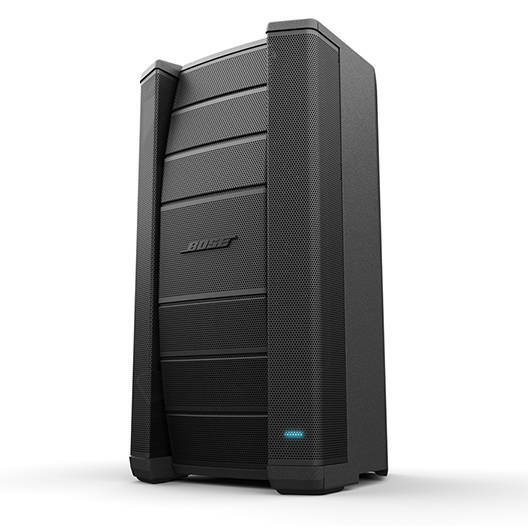 - The Bose F1 Model 812 Flexible Array Loudspeaker is now available to ship. The Bose Flexible Array Loudspeaker is the first powered portable loudspeaker that lets you control its vertical coverage pattern. So whether you're playing at floor level, on a stage or facing raked seats or bleachers, you can adapt your PA to the room. 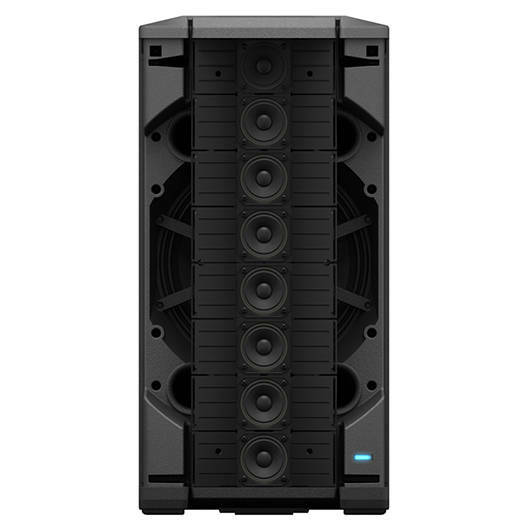 The eight drivers on the F1 Model 812 Flexible Array loudspeaker are mounted on a specially designed flexible baffle. Simply push or pull the array into position to create four vertical coverage patterns: "Straight," "J," "Reverse J," or "C." Once set, the system automatically changes the EQ to maintain optimum tonal balance for each unique coverage pattern. 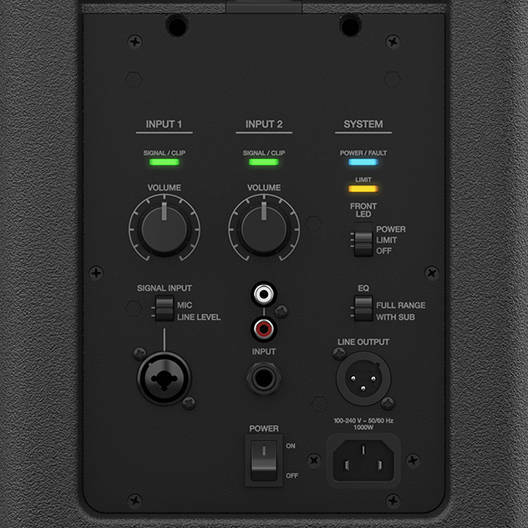 The F1 Model 812 has a 2-channel integrated mixer that accepts XLR and 1/4" connections. An RCA input pair lets you connect a music player or other line-level source. The XLR output allows you to daisy chain additional loudspeakers. A selectable high-pass filter makes it easy to tune the system when connected to a subwoofer. From the stage, club floor or anywhere in the venue, the F1 System will provide a professional appearance at any gig or event. Durable, high impact materials keep your system looking its best. I think I've owned these for 2 or 3 years now my band has had a chance to put these through their paces. To date, we haven't done a gig indoors or out where the Bose haven't been enough. Sometimes I take just the tops, sometimes the subs as well. We are always complimented by bar owners and patrons on our excellent sound. Despite the fact that I am extremely satisfied with this system, I do like to stay current with what's out there. So far I haven't found anything better. These offer the best sound quality and are the smallest lightest out there that delivers this amount of spl. If you want a louder system you gotta add a bunch of weight and size, and even then, I'd be concerned that the sound quality wouldn't be as good. Its a Bose! What else is there to say. Loud, clear and crisp. I also bought a speaker stand rather than the sub system as this speaker has incredible bass and for indoor use, it is plenty on its own. 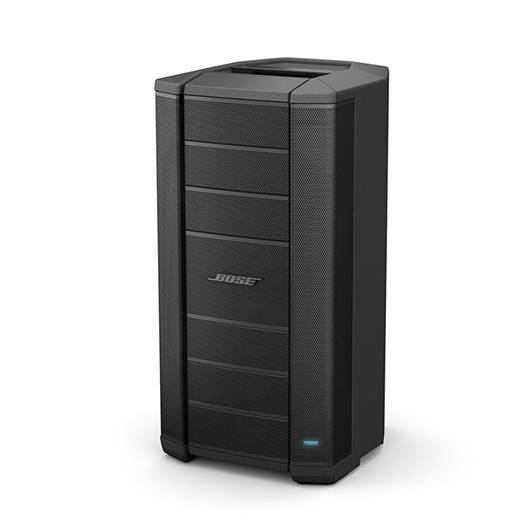 I bought the Bose F1 Flexible Array and the Subwoofer together. I was extremely impressed that I could bring my studio backing tracks with me to a gig on a Zoom recorder, drop 3 mics into the mix, and a guitar... and play along with it at exactly the same quality. I used a Behringer Bluetooth 8 channel mixer and controlled the sound from my phone. I was set up in 10 minutes. Mics can be close to the array without feedback issues. It's definitely the most practical portable, small size, big sound setup you can use in studio or on stage. Seriously, buy them. Great sounding and very high quality, I would expect nothing else from a Bose! Lots of power for 1000w and is easy to carry with 2 handles. I have purchased the top speaker but will be going back to Long and McQuade to get the bottom bass speaker soon! I recently rented this from the Winnipeg location. I was blown away by the volume and clairity. It sounded as if there were 10 speakers going. I will be buying one soon.